You can find the schedule for upcoming Webinars, as well as all past Webinar presentations on the ERKNet website http://www.erknet.org >> under the Education & Training tab. ISN Education presents new Cochrane Library materials on Erythropoiesis-stimulating agents for anemia. Anemia affects nearly all adults with advanced kidney disease and is linked to fatigue, breathlessness, impaired quality of life and physical function, and shorter survival. ESA treatment aims to improve anemia-related symptoms and minimize treatment-related cardiovascular events. Several ESA classes are available for anemia treatment (epoetin alfa, epoetin beta, darbepoetin alfa, methoxy polyethylene glycol-epoetin beta as well as biosimilar ESAs) but whether these drugs have differing benefits and harms is uncertain. This Cochrane review directly compares available ESAs for treatment of anemia among adults with chronic kidney disease. Suetonia Palmer: Suetonia is a nephrologist based at the University of Otago, Christchurch in New Zealand, and who trained in New Zealand and the USA. She is an Editor for Cochrane Kidney and Transplant. Giovanni Strippoli: Giovanni is a nephrologist based at the University of Bari in Italy, who also trained at the Sydney School of Public Health, Australia. He is an Editor for Cochrane Kidney and Transplant and the journal Nephrology, Dialysis and Transplantation. Submitted by Dr. Olga Chub, "Extended Spectrum Beta-Lactamase Production in uropathogens from hospitalized patients with chronic pyelonephritis">> has been published on ISN Education and will be published in the next edition of The Open Urology & Nephrology Journal>> under a specific ISN-GOP heading. Read our previous GOP article by Mayoor Prabhu in the latest Volume of the Open Urology & Nephrology Journal. Az alábbi összefoglalóban visszatekintünk az International Society of Nephrology (ISN) távképzési programjának első félévére, a legnépszerűbb oktatási anyagokra. This week ISN Education focuses on key interventions to delay CKD progression. ISN Education brings a selection of presentations on "How to effectively retard progression in CKD" from ISN's World Congress of Nephrology, 2015. Also, the recorded version of the live webinar, "Update on slowing CKD progression," the second part of a two-part series by George Bakris, is now available for on-demand viewing. ISN Education releases presentations from WCN 2015 session "Lost in translation: How to effectively retard progression in CKD"
Planetary health: why health matters for human civilization? Why and how ageing makes us sick? ISN Education közzétette weboldalán a "18th & 30th Vicenza Courses on PD" előadásait. Az ISN közzétette weboldalán a 2015. február 17-20. között San Diegoban rendezett AKI & CRRT Konferencia "Updates in ICU Medicine: Controversies, Challenges and Solutions"" fő témában elhangzott előadásait. This manual provides an overview of the use of various techniques to assess a renal biopsy. Technical procedures for allocation and processing and staining the renal biopsy for light microscopy, immunofluorescence and electron microscopy, and procedures for commonly used special stains are provided. Agnes B. Fogo and J. Charles Jennette are experienced renal pathologists, based at Vanderbilt University in Nashville, TN and University of North Carolina, Chapel Hill, NC, respectively. 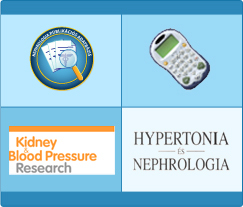 ISN Education is pleased to offer a new interactive module on dialysis vascular access. This module provides an overview of the anatomy, surgical techniques, access monitoring, cannulation methods and introduction to endovascular interventional treatment to maintain the patency of this 'lifeline'. A self assessment component at the end of each topic will keep the learner engaged all through the module. Kiváló továbbképzési lehetőséget biztosítanak tagjaink számára!